We explored Bamboo Brook Outdoor Education Center in search of birds, butterflies, wildflowers and other natural wonders. 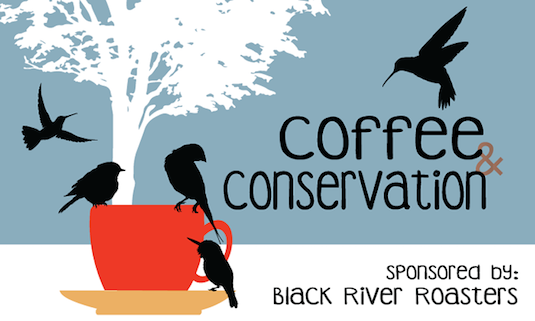 These select Step Into Nature programs start with a delicious pot of coffee provided by Black River Roasters. After some good conversation and a little (or a lot of) caffeine, we journey into the meadows and woods surrounding Bamboo Brook. Join our next event! Friday, March 30 - Owl Calling - Barred owl heard! Six displaying male American Woodcock! Wednesday, May 2 - Spring Bird Hike, Meadows & Edges - 43 species! Wednesday, May 9 - Spring Bird Hike, Forest Interior - 47 species! Friday, June 22 - Butterfly Hike with NABA - 15 species! Saturday, April 8 - Owl Calling - Great Horned and Barred Owls heard! April 21 - Owl Calling - Barred Owl heard! Bamboo Brook Outdoor Education Center is part of the Morris County Parks System. Visit http://www.morrisparks.net/ for more information.